Kalu Uche scored the equalizer for the visitors. 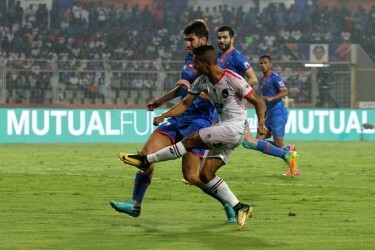 FC Goa were held to a 1-1 draw against Delhi Dynamos FC in their Hero Indian Super League (ISL) 2017-18 encounter at the Jawaharlal Nehru Stadium in Goa on Wednesday. The Gaurs took the lead through Hugo Boumous in the second half but Kalu Uche struck the equaliser for Delhi nine minutes before full-time. 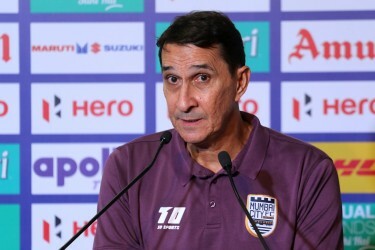 Goa head coach Sergio Lobera brought on Mark Sifneos and Manvir Singh in search of a late winner following Delhi’s equaliser but it wasn’t to be for the Gaurs. “The idea was to get Pronay (Halder) out in order to boost the defence a little bit further. Just at that moment, we ended up conceding the goal and then we had to change the decision to obviously, try and put more into the attack,” he told reporters at the post-match press conference.